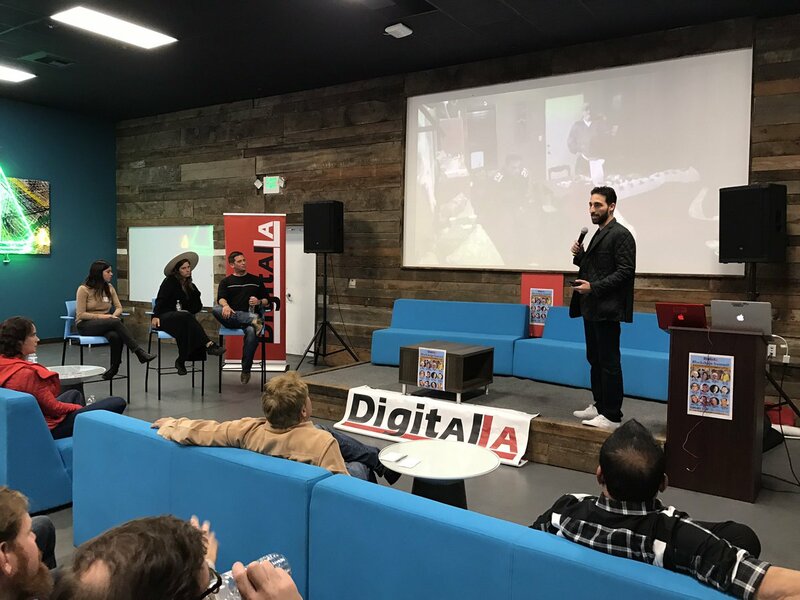 Seven LA companies will be participating in the annual SXSW Pitch on March 9-10 in Austin. 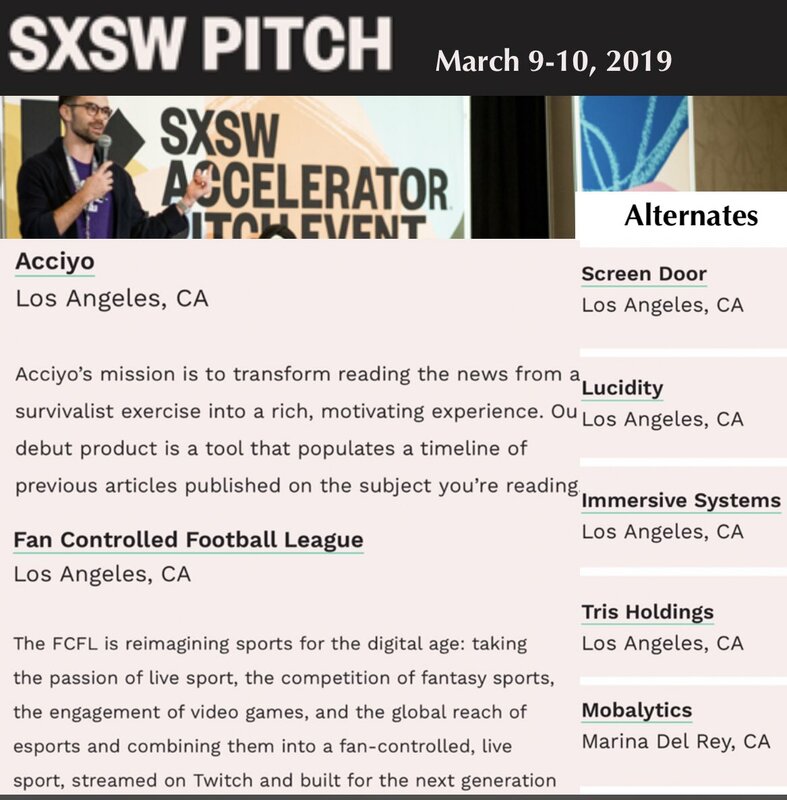 Congrats to finalists Acciyo (custom contextual news) and Fan Controlled Football League (fantasy sports). Alternates include: Screen Door (real time team collaboration), Lucidity (blockchain digital ads), Immersive Systems (esports stats app), Tris Holdings (App store shopper chat), and Mobalytics (AI esports coach for gamers).